What I love: This Digital Thermometer is super accurate! From the moment it comes on it reads the temperature of the air, once you insert it into the food or drink it takes only 4 seconds to read the temperature. It's perfect for any type of food or drink. 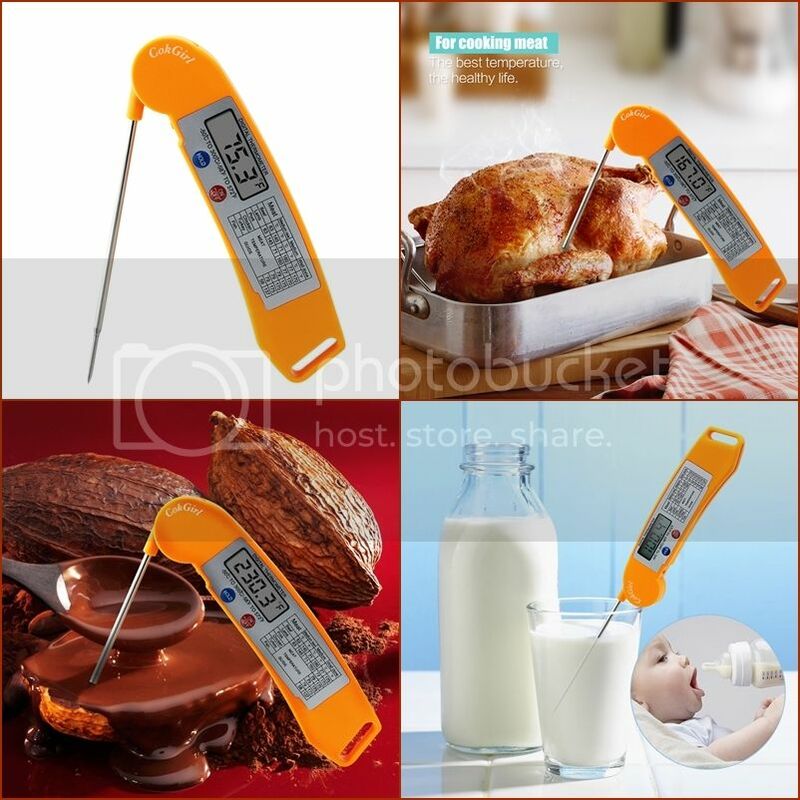 The thermometer is made of high quality food grade thermoplastics so it won't crack or warp, even at high temperature. The probe, which is spring loaded and easy to open is 4.33 inches long stainless steel so you can easily and safely check food heat level. It's foldable to it can easily be stored or even fit in your pocket for travel like checking your grilled meat camping or at cookouts! It's bright orange so you can easily find it in your drawer. It comes with the one AAA batter that it takes to run it, though its wrapped in plastic so make sure you open it and reinsert before trying to use it. While you are under the battery cover note the toggle switch to change from Fahrenheit or Celsius. The unit automatically shuts off after 10 minutes to save battery.